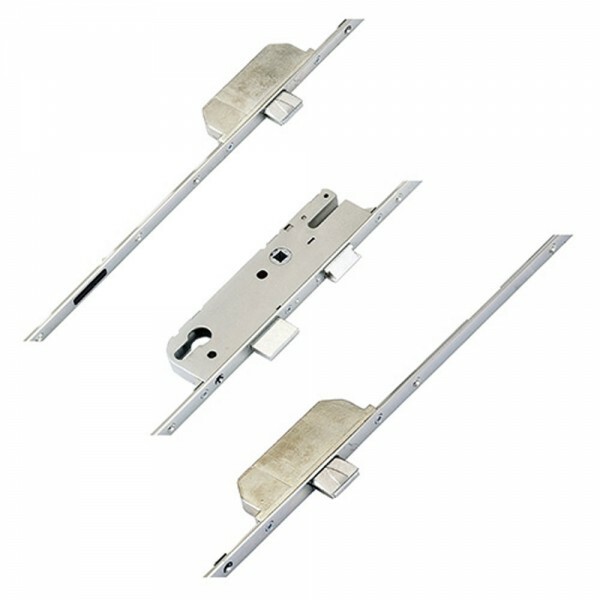 The GU Europa Plus 3 Deadbolts Narrow 35mm fast locking features 3 deadbolts and has a solid spindle. 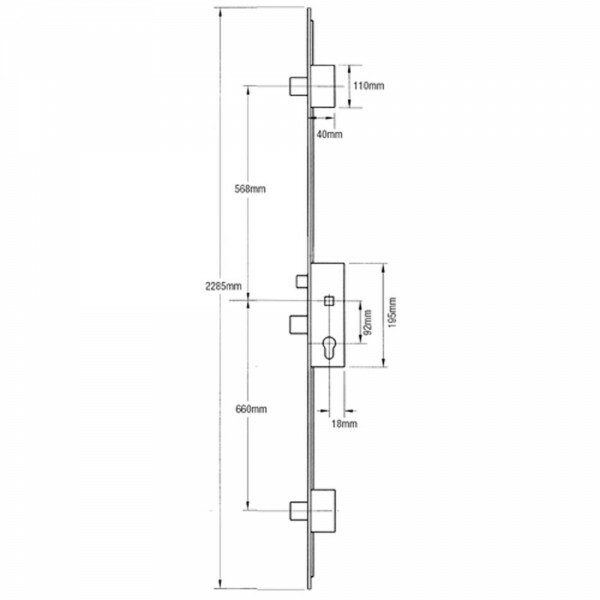 This is the narrow version with 1,228mm between outer deadbolts. It makes use of a fast locking operation whereby lifting the lever engages the locking points without the need to turn the key. To change handing, push a flat bladed screwdriver into the small rectangular slot above spindle and pull out latch at same time. Reverse and reinsert.